More than one in three people admitted to hospital across the UK are at risk of malnutrition, according to a survey of nearly 10,000 patients. Nutrition charity BAPEN, which ran the survey, said it was concerned about a rise in malnutrition among people admitted from their own homes. It said cuts in community services, including meals-on-wheels, were likely to put extra pressure on hospitals. Councils have said tough decisions on spending cuts are unavoidable. Hospitals routinely screen patients for their risk of malnutrition when they are admitted, but BAPEN’s survey suggested the problem may be getting worse. More than one in three were found to be at risk, which was higher than in previous surveys, though this was the first to be carried out in winter. BAPEN is particularly concerned that more than 30% of those admitted from their own homes were found to be at risk, compared with 26% in the two previous surveys. 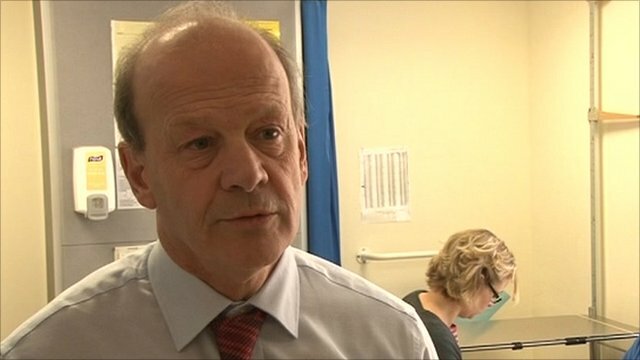 The charity’s chairman, Dr Mike Stroud, said it was essential that community services and professionals recognised the importance of combating malnutrition. The warning comes as the National Association of Care Catering (NACC) reported cuts in funding for local food services in London, Buckinghamshire, Norfolk, Hampshire and Nottinghamshire. The charity Age UK Camden runs Henderson Court day centre in north London, which services more than 6,500 hot meals a year to elderly and other vulnerable people. The centre has strong links with local schools and businesses, and has support from volunteers. Staff at the centre say it embodies the “big society” that the government has said it wants to see. But cuts in funding mean it is due to close in September. One of the members at the centre, Cynthia Philpots, said that would be a great loss. Brian O’Connell, who helps to run the centre, warned of damaging consequences. “Our older people will be left lonely and isolated and therefore are going to end up not eating properly, not drinking properly and not being seen to by professionals like us. Camden Council said it was facing “unprecedented financial pressures”, but that it remained committed to providing services for its most vulnerable residents. The coalition government said funding for councils was tough but fair. A spokesman for the Department for Communities and Local Government said: “If councils share back office services, join forces to procure, cut out the non-jobs and root out the overspends then they can protect front-line services. Councillor David Rogers, chairman of the Local Government Association’s Community Wellbeing Board, said councils faced a multi-billion pound shortfall which meant that savings had to be made. But he said it was misleading to select a specific service as a barometer of a council’s approach to care. 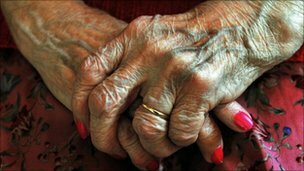 “Malnutrition among older people is not simply about meals-on-wheels and there is no evidence the two are linked. “There are many wider issues such as raising awareness about diet, the availability of local shops, fresh fruit and vegetables and affordable food in one-size portions, and people looking out for their ageing friends, relatives and neighbours,” he said.